Rekey doors, gates, outbuildings, pools, etc. 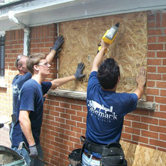 Trademark is a 24/7 response team of experts specializing in property restoration resulting from fire, wind, water damage, mold, vandalism and other event driven disasters, providing complete project management. 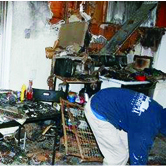 As Licensed Contractors, we will help you with all aspects of your restoration and reconstruction needs. Our professional estimating service can provide you with a detailed repair estimate based on current going rates for our geographical area for labor, materials and equipment needed to complete the job. Our estimators are experienced in the construction field and use Xactimate to complete professional, accurate and detailed estimates to Insurance adjusters, asset managers and individual homeowners. When disaster strikes, Trademark is there to help. We work with private mortgage insurance companies, investors. government agencies, and individual homeowners. 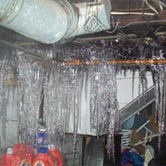 We offer services for all phases of hazard claim repair, including inspections and insurance scope verifications. 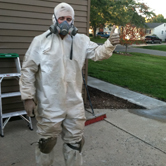 This includes full assessments to electrical, plumbing, painting, carpentry, appliance replacement, flooring, structural, HVAC and any remaining aspect to a properties condition.